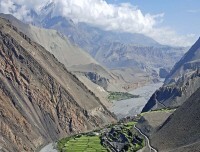 Upper Mustang Journey, a great fascinating trip combination of all scenic flights to and from Pokhara-Jomsom-Pokhara, with exciting hike and interesting overland drive towards high areas of Upper Mustang one of the most photogenic country with amazing views of its colored canyons, high eroded cliffs like of USA Grand Canyon. 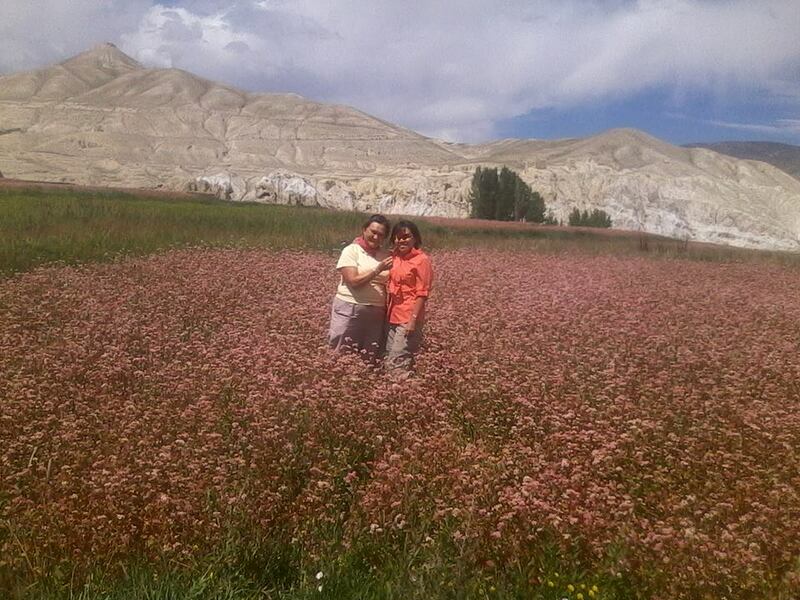 Upper Mustang Journey of a lifetime experience drive and trek within charming and lovely villages enriched with ancient Bon culture and practice (pre Buddhism) as well Buddhism religion similar to its across the border neighbor the Tibetans, which you can witness in this windblown areas of Upper Mustang. Upper Mustang Journey for all beginners to veteran travelers with all age groups as this trip leads you to high former walled kingdom at Lo-Manthang which is above 3,700 m high with time to explore its interesting villages and alleys including visit of former Raja (Monarch) of Mustang palace and famous old monasteries enriched with ancient artifacts of painting-idols of various Buddha and other high Gurus. 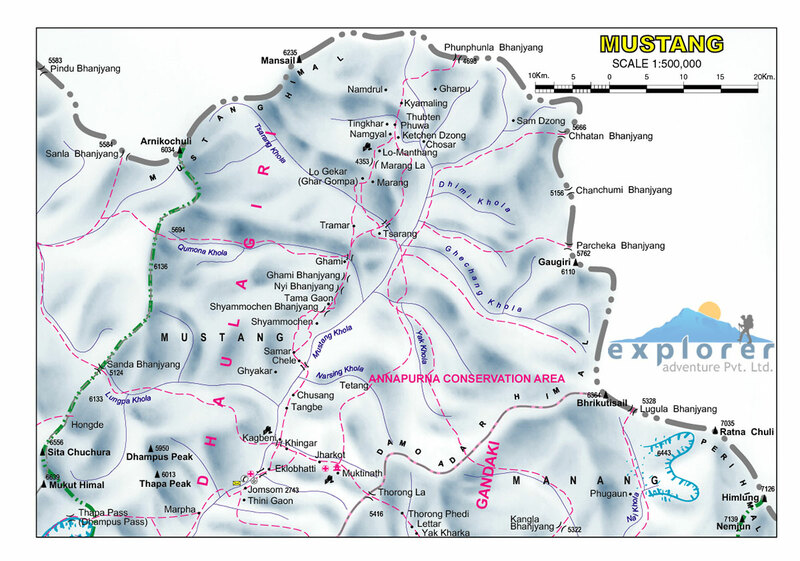 Starting our marvelous Upper Mustang Journey from scenic Pokhara city and beautiful valley where a short overwhelming flights in a smaller aircraft brings you at Jomsom, headquarter town of Mustang district, where adventure begins with exciting walks on Kali-Gandaki River valley to reach at Upper Mustang via interesting Kagbeni village. 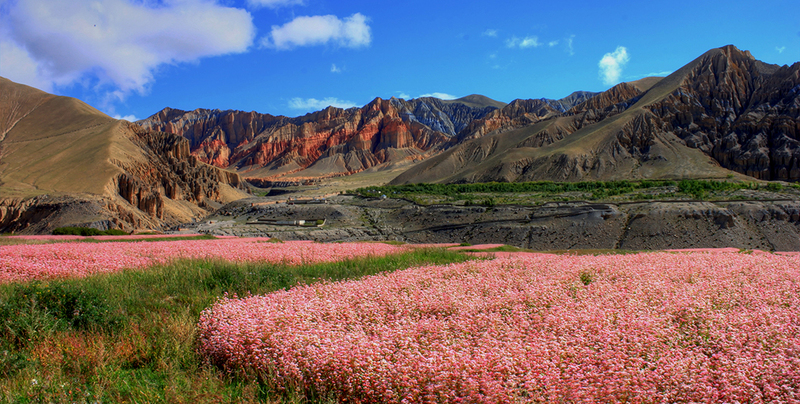 As drive continues within highest and largest country, which is an extension of vast south west Tibetan plateau that touches Upper Mustang on the old Trans Himalayan Salt and Caravan route of Nepal and Tibet, where trade still flourish to this day. Finally our drive reaches mystical former kingdom at Lo-Manthang with enough time to enjoy the local traditions and culture and then a hike towards Ghami where drive takes you to holy premises at Muktinath, regarded as sacred spot for both Hindu and Buddhist with excellent views of Dhaulagiri and other adjoining peaks. Ending our great adventure at Jomsom where thrilling flight brings you back at scenic Pokhara to conclude our marvelous Upper Mustang Journey of great fascination. 1 Day 1: Arrival in Kathmandu and transfer to hotels.On reaching Kathmandu Tribhuwan International Airport where you will be warmly received by our guide and staff and then transfer you to your respective hotels in the hub of Kathmandu city. First check into your hotel rooms on getting refreshed from the flight and with Jet-Lag, then join with other members of Upper Mustang Journey for group briefing, where our expert guides will inform regarding your stay in Nepal, hotels, trekking, local lodge and overland drives with do’s and don’ts information, evening welcome group dinner in authentic Nepalese restaurants with Folk cultural programs to entertain you during your meals. 2 Day 2: In Kathmandu with sightseeing tour around world heritage sites.Morning after breakfast leave the hotel for exciting guided sightseeing around Kathmandu where our city guide will lead you to places of interest, Kathmandu a metropolitan city still retains its ancient heritage and varied ancient culture where you will visit world heritage sites around Kathmandu for half day or full day. After an interesting and wonderful tour of ancient historical and religious sites around Kathmandu, with afternoon free preparation for next day journey to Upper Mustang Journey. 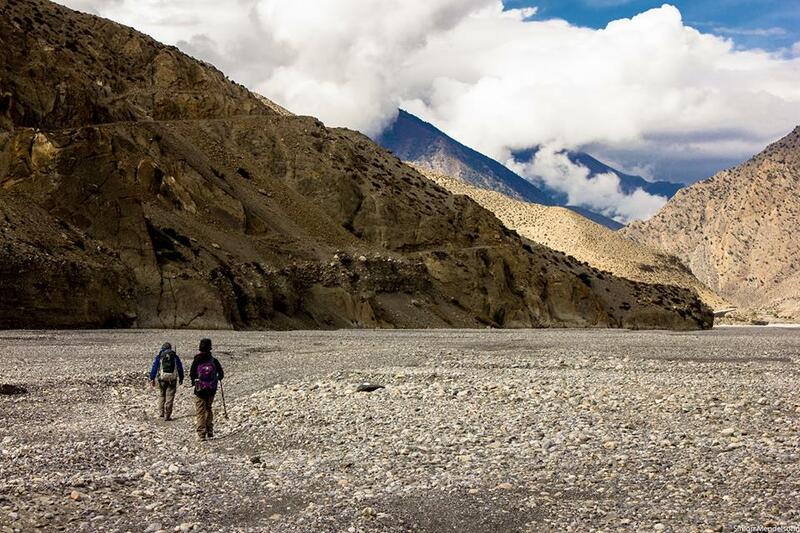 4 Day 4: Fly to Jomsom 2,715 m and trek to Kagbeni 2,830 m - 04 hrs.After a pleasant overnight in Pokhara, morning drive for short scenic flight to Jomsom with close views of Annapurna and Dhaulagiri range of mountains as the flight touches at Jomsom airport located on the shelf of Kali-Gandaki River. Jomsom, headquarter town of Mustang district, after Jomsom first day adventure and walks begins on Kali-Gandaki River valley and its windswept country, few hours of good walk with great views of Mt. Dhaulagiri, Nilgiris brings you at Kagbeni village. 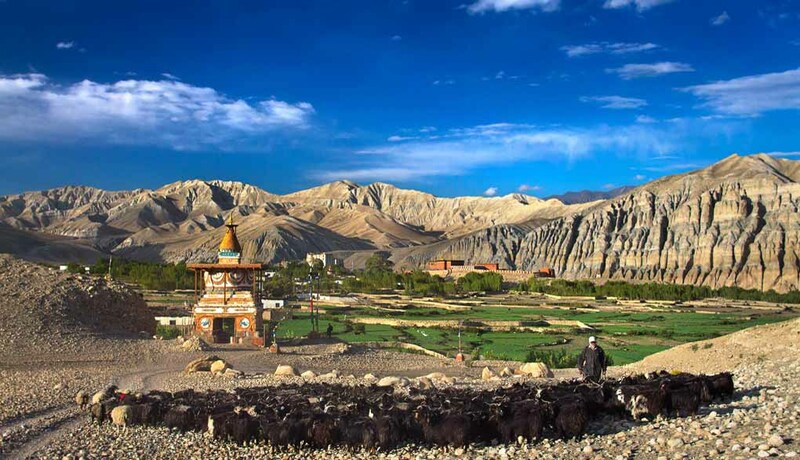 A nice village of Tibetan style located on the start and ending point of Upper Mustang area and to Forbidden City of Lo Manthang, on an old Himalayan Caravan trade route of Nepal and Tibet. 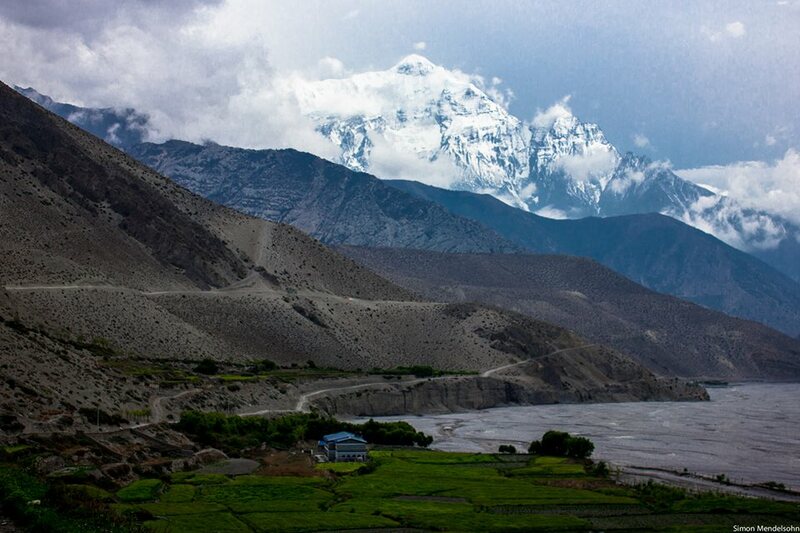 5 Day 5: Drive to Tsarang / Charang 3,560 m - 04 hrs.Due to possibility of driving within Upper Mustang, where we will take a jeep ride to reach at charming Tsarang or Charang village for first overnights stops around Upper Mustang region. Morning drive climb into canyon of high red eroded cliff edge, following upper upstream of Kailgandaki River, within unique landscapes of cliff walls, a nice ride with views brings past Chele, a moderate size village also spelled as Tsele. 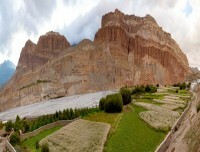 From Tsele or Chele, continue drive with climb to Gyakar village, and from here into dry and barren landscapes to reach at Samar village, one of the lovely looking villages of Mustang area. After Samar village with short stops drive leads to Bhena and then climb to a ridge top of Yamda La pass at 3,860 meters high, offering grand vista of Mustang area with high mountains of Mt. 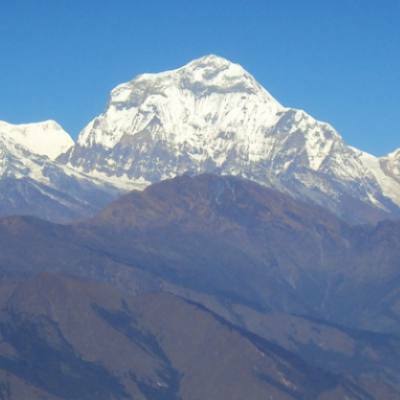 Dhaulagiri. From here on down-hill to Geling village past Syangboche village, as our journey carries on with time to visit old monastery full of Buddhist mani prayer wheels propelled with water power, after monastery tour drive to Ghami village and then cross Ghaymi Khola (stream) as drive leads following a long and interesting line of Mani walls (holy prayer stone). From here to Dhakmar village, after hours of pleasant ride reaching at Tsarang village surrounded by large fields of crops buck wheat’s with overnight stop and visit of Tsarang old monastery. 6 Day 6: Drive to Lo-Manthang 3,700 m - 02 hrs.Today a day drive to Lo -Manthang of few hours ride on scenic and dusty tracks to reach our main destination of this great adventure, and to enter the former walled Kingdom of Lo-Manthang surrounded by high wall. 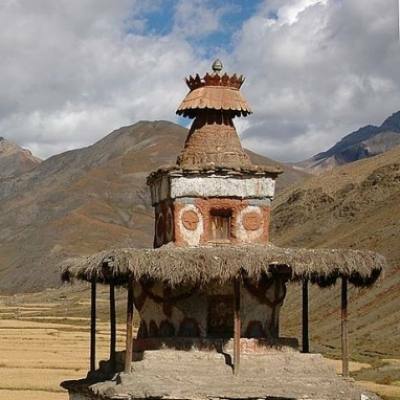 At one time stood as a forbidden kingdom after monarchy rule ended in Nepal few past decade, on the walk coming across several chortens and mani stones, between Tsarang and on Lo Manthang trail with grand views of arid landscapes in the shade of Nilgiri’s, Tilicho and Bhrikuti peaks. Drive leads over Lo La pass above 3,950 meters with views of Lo Manthang walled city and then descend reaching a nice trail to Lo Manthang for overnight stops. 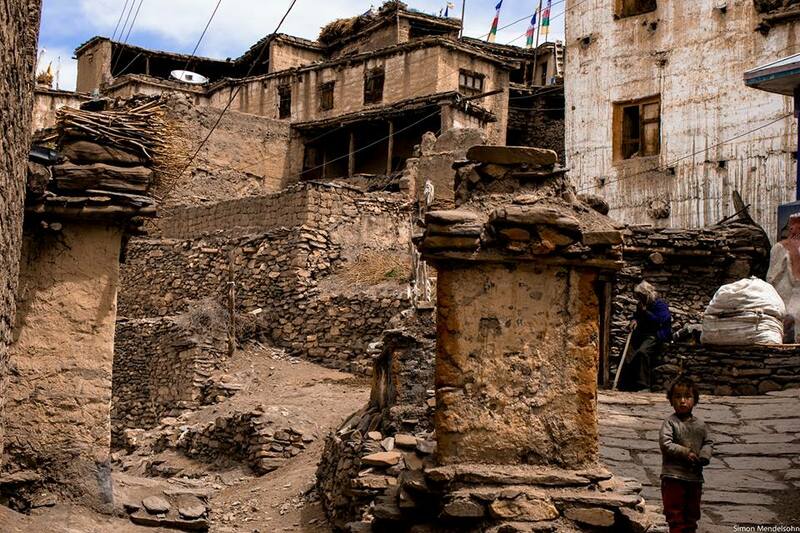 7 Day 7: At Lo-Manthang for acclimatization and local hike.Lo Manthang highest overnight stop of the journey, with time to explore this fascinating village with old Tibetan like houses enclosed within great high wall, visit historical and cultural centre the main attraction of Lo-Manthang. The four main monasteries are Namgyal Gompa, Champa Lakhang (God House), Red Thubchen Gompa, Chyodi Gompa and the great Entrance Hall. Advance permission required to enter king’s palace to visit interior of the old palace and to grant audience with former king or Raja of Mustang if possible. 8 Day 8: Walk to Dhakmar 3,810 m - 05 hrs.After an interesting time in Lo-Manthang morning start walk on the trail back to Marang village, and then towards west using an old path to Dhakmar village for overnight stop. 9 Day 9: Trek to Ghami 3,806 m - 04 hrs.From Dhakmar village, morning walk leads towards long Mani (Prayer) Walls, and then cross a bridge over Ghami Khola to reach at Ghami village for overnight, time permitting visit its old interesting monastery. 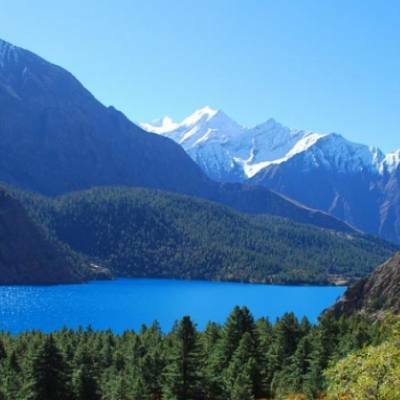 10 Day 10: Trek and drive to Tsusang-Chusang 2,980 m - 04 hrs.Slowly this fascinating journey comes to an end as our drive leads to Syangboche village and to Yamda La with grand views, then downhill to Bhena and Samar villages. Drive across stream past Gyakar and Chele villages and finally ending the ride at Tsusang or Chusang village for last overnight stops in Upper Mustang. 11 Day 11: Drive to Muktinath 3,750 m - 03 hrs.Morning drive leads to a climb of an hour and the heading past several villages and then back at Kagbeni, and then towards holy area at Muktinath, reaching height of 3,750 meter, drive leads through interesting village of Jharkot, from here the trail climbs gradually for short hour to reach holy Muktinath. Muktinath, located in between the popular trek to Manang via the high pass of Thorang la and the trail also joins from upper Mustang region, in the auspicious time this place is flooded with pilgrims of both Hindu and Buddhist, a nice walk to the Temple of Muktinath and with its 108 water spout, which is also the source of Kaligandaki river. Superb views of Dhaulagiri, Tukuche can be seen from the campsite and as well from Muktinath itself including the Tilicho and Nilgiris peaks to the left. 12 Day 12: Drive to Jomsom 2,715 m - 02 hrs afternoon free at leisure to explore the town.From this peaceful religious and holy site of Muktinath with views of Dhaulagiri range, at Muktinath our trekking completes taking a ride to reach lower areas of Mustang, since the motor-able came walking is disturbed by movement of vehicles, so taking a drive instead of walking. Drive leads towards wide Kaligandaki River within its windswept landscapes to reach at Jomsom the headquarter town of Mustang area, an interesting town inhabited by Thakali people of Buddhism religion, as these tribe on long history of trade with Tibet as this town situated on main old Trans Himalayan salt and caravan trade of Nepal and Tibet. With time here to enjoy walks and observe the local people fascinating culture and traditions. 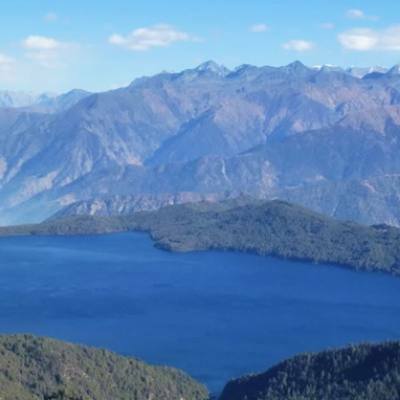 13 Day 13: Fly to Pokhara 860 m - 22 mins and transfer to hotel by the lake of Phewa.Our last day of the adventure early morning walk to Jomsom small airport for super scenic short flight to land at picturesque Pokhara and then transfer to respective hotels by the Phewa lake side. 14 Day 14: Drive or fly to Kathmandu and then transfer to your hotels.Morning transfer either car-coach or tourist bus (as per the size of the group), for drive back to Kathmandu with scenic views of mountains, green scenery of hills and farm fields within nice villages and towns as drive brings you back at hustle and bustle city life of Kathmandu. On reaching Kathmandu transfer to your respective hotels with time for individual activities and shopping souvenirs. 15 Day 15: Depart for international flight home ward bound or to respective countries.Your last memorable day in Nepal after a wonderful adventure and experience on Upper Mustang Journey with great service of Explorer Adventure, and as per your international flight then transfer to Kathmandu international airport for homeward bound or to your respective destinations. Highest elevation gain: 3,950 m at Lo La pass and 3,810 m at Dhakmar. 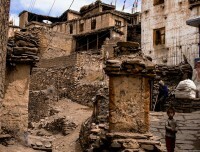 People and Culture: Higher Mustang people with Thakali tribes of Buddhist religion, culture with age-old custom. Walk and drive: From minimum 4 to maximum 5 hrs. Season: April to October including monsoon months of July and August as Mustang area falls in rain shadows with traces of showers.